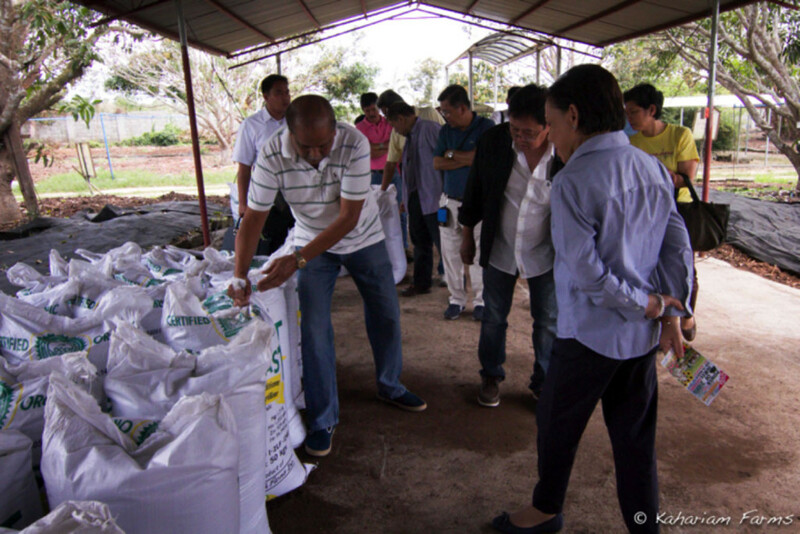 Senator Cynthia Villar of the Senate Committees on Agriculture and Food, and Government Corporations and Public Enterprises visited Kahariam Farms and Realty last March 5, 2015. During her visit she emphasized the vital role that agriculture plays in the developemnt of the Philippines. 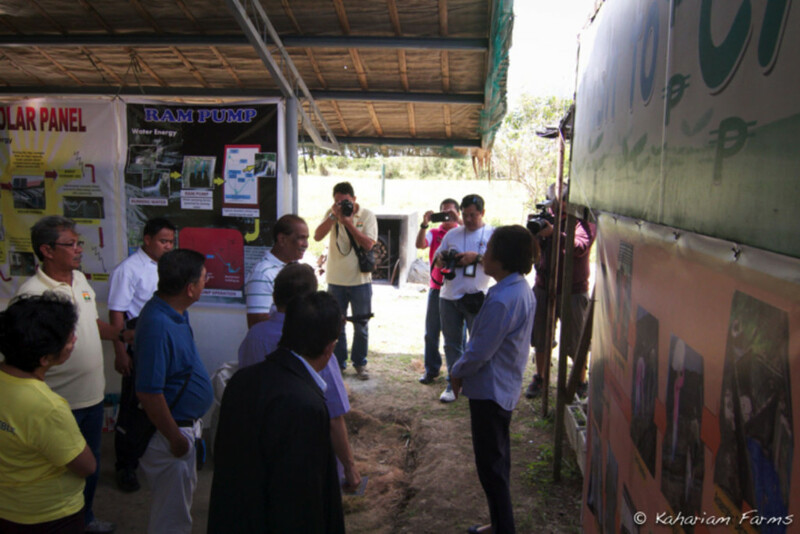 There were several areas that the senator specifically identified: agri-toursim, traning & development and education. 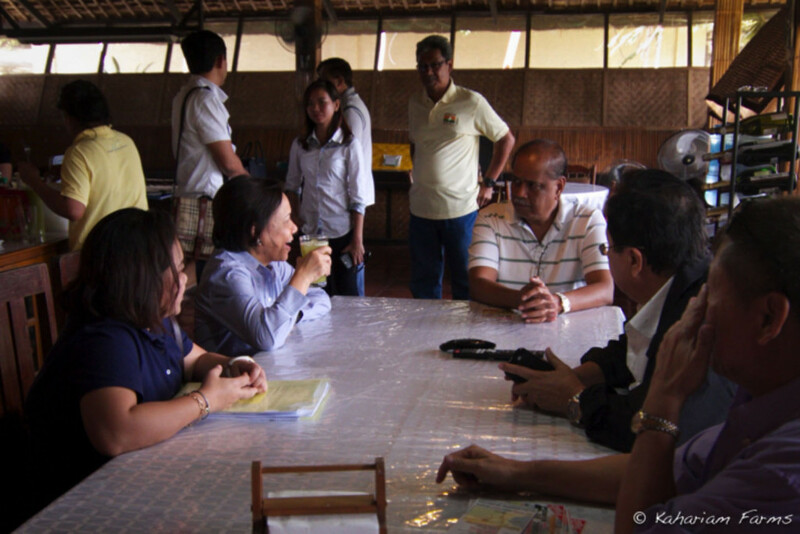 Senator Villar arrives at Kahariam Farms and enjoys a glass of organic lettuce, pineapple, calamansi juice. First of, Senator Villar indicated that there is enormous potential in promoting the local agricultural farms for tourism. Her goal is to have both private and public schools visit farms in order for the students to have a first hand education of how the fruits & vegetables they consume is grown and how to properly take care of the food. Students will also gain insight on the importance that organic framing plays in both nutrition and the environment. This provides for a much better alternative than spending time in the malls. Manuel Nonong Bagatsing, Kahariam Farms owner shows Senator Villar the vermicast production shed. Which is the largest in the Philippines- producing 300 tons from 500 tons of agricultural waste each month. Another major proposal of Sen. Villar is to provide agricultural courses using the Technical Association and Skills Development Authority (TESDA) in the Batangas region. She wants to enure that all Filipinos will have the ability to improve themselves through training and development and financial support will be given to those individuals who need assistance. The purpose of TESDA on agriculture is to amplify the number of farmers across the country and to give pride to the local farmers who work hard to produce food for their fellow Filipinos. Kahariam will provide both the trainers and facilities to help achieve this goal. 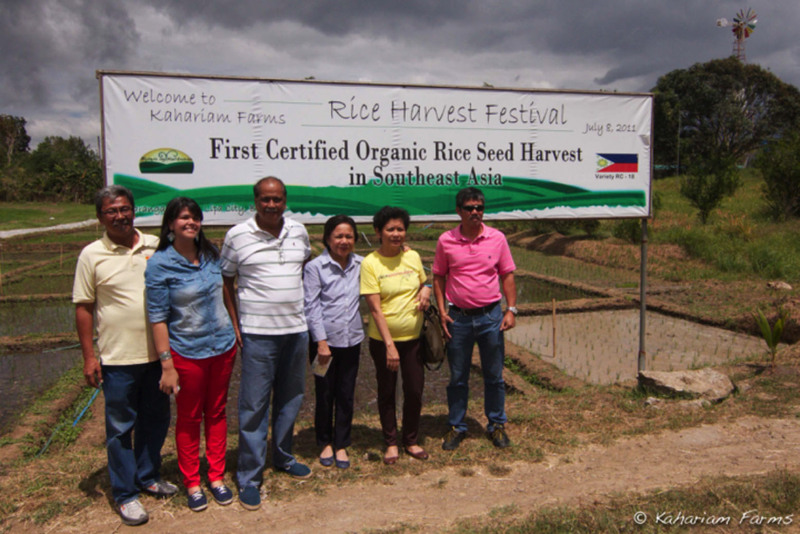 Infront of the rice fields where Kahariam Farms was able to produce the FIRST CERTIFIED ORGANIC RICE SEED in the whole of SouthEast Asia in 2011. Sen. Villar also stressed out that the young generation today should be aware and be educated on how agriculture can save our economy. With agriculture being the major structure of Philippines, we can do more if we preserve our nature, build more farm lands, and plant more trees. Sen. Villar also stated that students and company workers in the National Capital Region should learn the importance of urban farming and how it can lessen the cost of living inside the city. Mainly, the young generation should take charge and be the headline of the agricultural awareness for our country’s economic preservation. At the exhibition hall that is part of our “Organic Farm Tour” that aims to raise awareness on it’s many health benefits as well as the other ecological solutions we can participate in to help take care of our planet. The tie made between Sen. Villar and the whole team of Kahariam Farms in building up the local farmers and agri-tourism is just a one step on boosting up our economy through agricultural reform. The call for young generation to take pride of their land is open. These steps will put our country in becoming one of the major agricultural produce providers in the world.